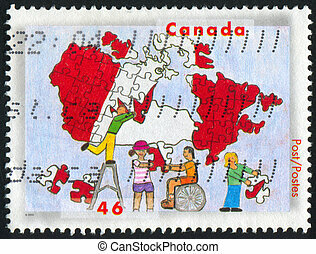 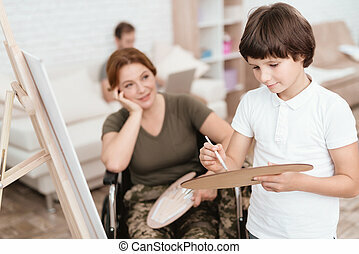 Boy child painting wheelchair. 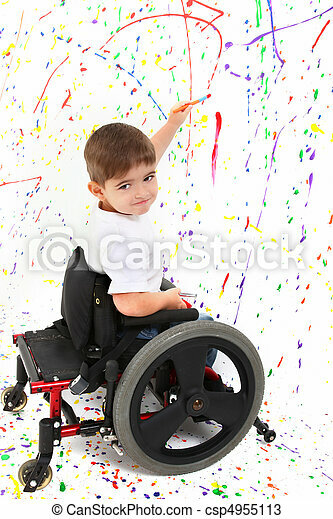 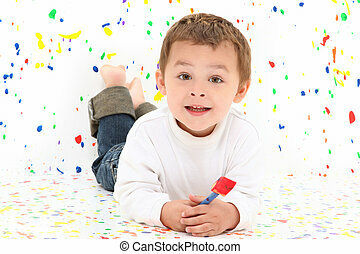 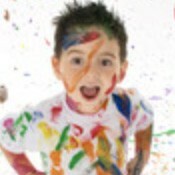 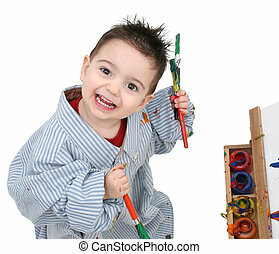 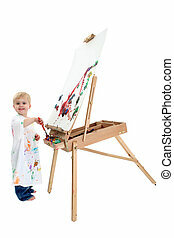 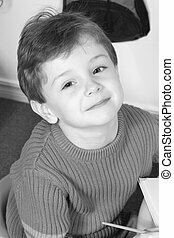 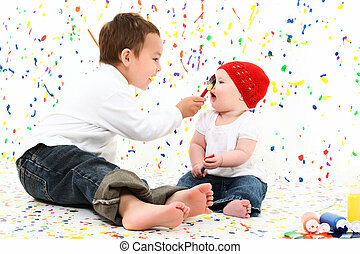 Adorable 2 year old child with wheelchair painting on floor. 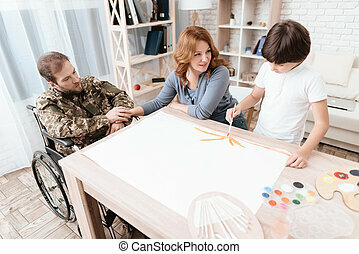 Woman veteran in wheelchair returned from army. 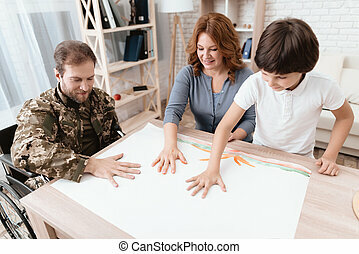 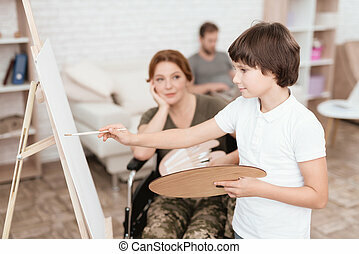 A woman in a wheelchair watches as her son paints on canvas. 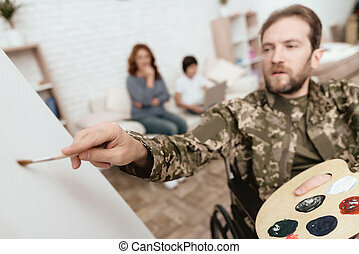 Veteran in wheelchair returned from army. 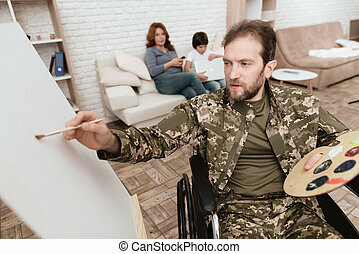 Man in a wheelchair draws on canvas. 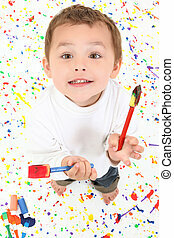 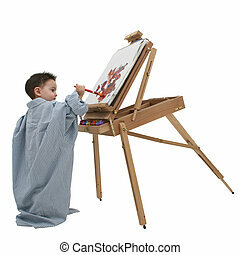 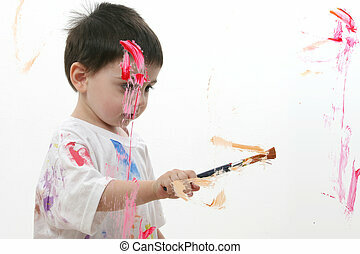 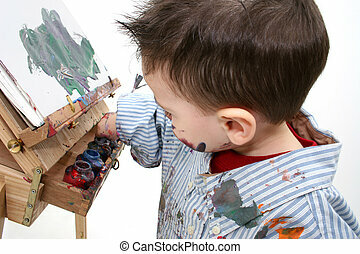 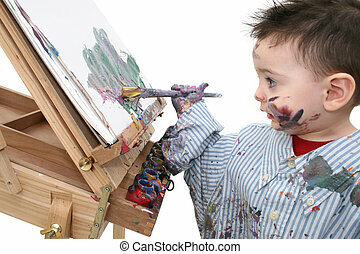 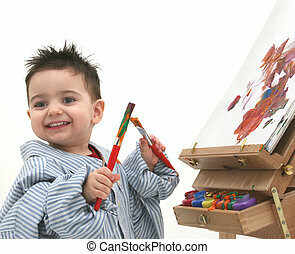 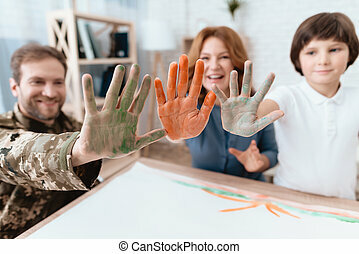 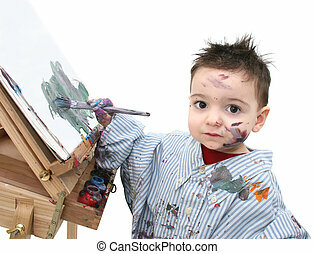 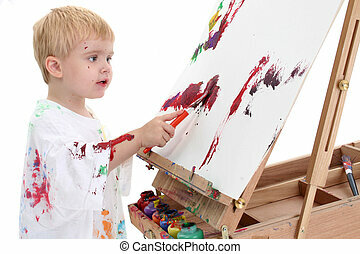 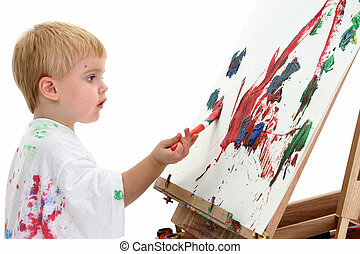 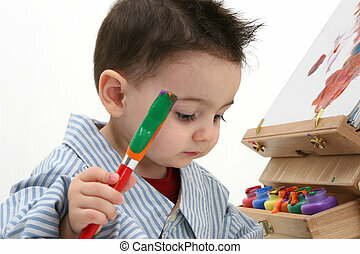 He has paint and brush in his hands. 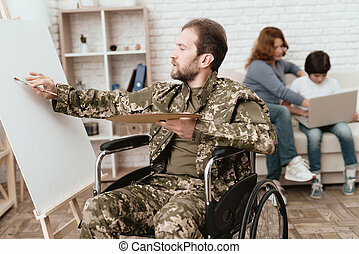 Woman veteran in wheelchair returned from army. 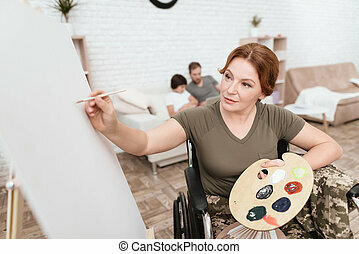 A woman in a wheelchair draws on canvas. 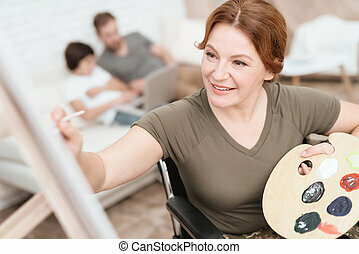 She has paint and brush in her hands.